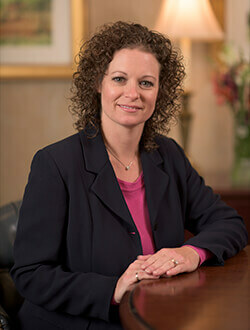 Amy is a member of the operations team and handles all compliance matters at Kooman & Associates. She implements process improvements, and monitors compliance policies and procedures while delivering a client experience that we believe is second to none. Joining the firm as an intern while pursuing her degree in finance at Penn State University, Amy had a passion for financial services at an early age. Her father owned a small business, teaching her the value of saving money, planning for the future and working hard to achieve the rewards of financial independence. During her more than 16 years of experience at Kooman & Associates, Amy set the standard for proactive and personalized client care. Even though most of her job responsibilities are behind the scenes, Amy’s role is integral to our firm’s commitment to provide excellent client service. She brings creativity, organization, dedication and follow-through to every project and initiative at our firm, including mastering the sophisticated software we utilize. Helping preserve the wealth that clients have worked their whole lives to achieve is a very serious endeavor that Amy doesn’t take lightly. Amy is also licensed as a financial advisor, earning General Securities Representative (Series 7) and General Securities Principal (Series 24), and completing the Uniform Securities Agent State Law Examination (Series 63) and the Uniform Investment Advisor Law Examination (Series 65) licenses. Amy grew up in Cresson, but now lives in Ebensburg with her husband, Brian, and their children, Madison and Travis. She is an active volunteer at her church and children’s school, where she keeps tabs on their extracurricular activities.